This gorgeous property has SO much potential! Open Gulf views from the massive screened in porch, remodeled interior with granite counter tops and stainless steal appliances. Laminate wood floors throughout with an open living/kitchen floor plan. 75Ft. of concrete seawall, boat lift and plenty of room for a large pool! 3 bed/ 2 bath with a separate 1 bed/1 bath downstairs enclosed area. 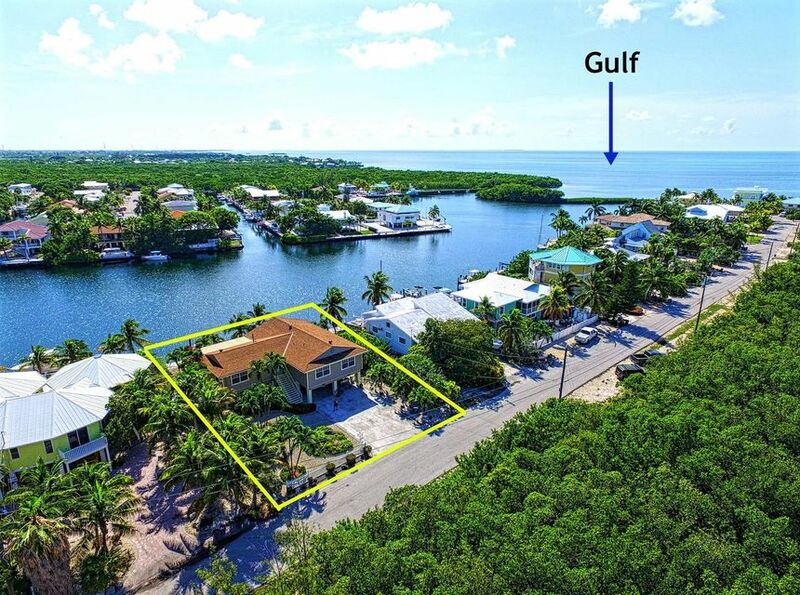 Carport and additional storage with plenty of room to park an RV, trailer or up to 4+ cars.Quick and easy Gulf access with a short ride to the Vaca Cut and Ocean. Wide canal offering views and privacy as well as great depth for larger boats. Property is located on a quiet street with friendly neighbors nestled in Sea-Air Estates. Ready for you to make it your Keys Dream escape!